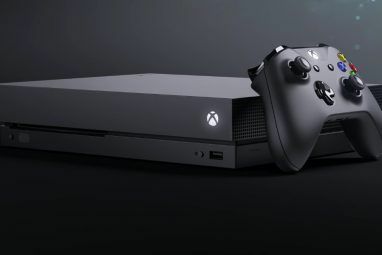 The Xbox One (XBO) is nearly two years old, and those who chose the One over the PlayStation 4 (PS4) PS4 vs Xbox One: 5 Reasons To Buy The Xbox One PS4 vs Xbox One: 5 Reasons To Buy The Xbox One This year's E3 felt almost like it was over before it began. Though the conference lasts for days, both Microsoft and Sony made their announcements before the doors opened, showing not just hardware but also... Read More are having a great time with Microsoft’s latest offering. 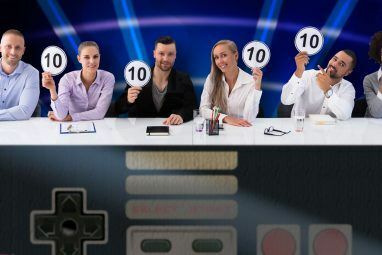 Between games with easy Achievements 6 Xbox One Games with Easy Achievements You Can Get Now 6 Xbox One Games with Easy Achievements You Can Get Now Looking to earn some easy Gamerscore? These Xbox One games will send you shooting up the leaderboards. Read More and blockbusters like Halo 5, if you bought your Xbox at launch your hard drive is likely close to full. Thankfully, Microsoft updated the system to let you connect external hard drives and gain additional space. Here are some reasons why buying an external hard disk drive (HDD) is worth the investment, as well as some advice on which to get. This is the obvious reason for adding an external drive to your system, but it bears explanation. Both the XBO and PS4 require you to install games onto your hard drive before playing them, and the space requirements are hefty. Taking a look at a list of game install sizes, we can see that Grand Theft Auto V clocks in at 49 GB, Halo: The Master Chief Collection is 63 GB, and Assassin’s Creed Syndicate (our review Assassin's Creed Syndicate Is Here - Should You Buy It? Assassin's Creed Syndicate Is Here - Should You Buy It? Syndicate runs with what's made the series great (rather than adding in pirate ships to cover the cracks), makes some much needed improvements to areas that needed them, and cuts out a lot of the... Read More ) takes up 40 GB. Remember that even though the Xbox One comes with a 500 GB hard drive installed (though you can get a one terabyte model nowadays), you’ll only have about 360 GB of that space to use for yourself. That means if you installed the three games above on your system, you’d be looking at around 208 GB left – and those numbers don’t even include mandatory game updates (which can be several gigabytes, such as Destiny‘s 18 GB 2.0 update) or DLC. Finally, with Xbox Live Gold Xbox Live vs. PlayStation Plus: What Do You Get With Each? Xbox Live vs. PlayStation Plus: What Do You Get With Each? If you're got a PS4 or Xbox One, you've probably thought about subscribing to PlayStation Plus or Xbox Live Gold. Let's see what they offer gamers for the price. Read More , you get free titles to download every month via the Games with Gold program. So, even if you’re not buying many full retail games, you’ll still be doing a lot of installing to check out what you got for free. Nobody likes to have to juggle games around because they don’t have enough space; adding an external hard drive will fix this. We’ve shown how to upgrade the internal hard drive on the PS4 How To Upgrade Your PS4's Hard Drive How To Upgrade Your PS4's Hard Drive The PS4 makes it easy to add more storage space. Let's look at what drives you can choose between and how the process works. Read More , but you can’t do this easily (or aren’t technically supposed to) with the Xbox One. Instead, connecting an external HDD to the system serves as your way to upgrade. People who want a no-fuss solution to storage space will appreciate this, because replacing an internal hard drive necessitates backing up and restoring your content 5 Ways Gamers Can Save Game Progress To The Cloud 5 Ways Gamers Can Save Game Progress To The Cloud What would happen if your game console or PC died? Would you have to restart all the games you're playing from scratch? Read More , removing some tight screws, and ensuring you get a drive that works with the system and doesn’t cause problems. With an external drive, you simply plug it in, format the drive, and start using it. It’s much simpler. Cord-cutting to get away from ridiculous cable costs Considering Canceling Cable? The True Cost of Cutting the Cord Considering Canceling Cable? The True Cost of Cutting the Cord When you add everything up, do you really save money by cutting the cord? We do the math involved with cancelling cable in favor of Internet services. Read More is becoming more popular. With support for services like Netflix and Hulu, along with the ability to watch live TV, using your Xbox One as a media center Which Game Consoles Can You Use as a Media Center? Which Game Consoles Can You Use as a Media Center? Looking at Microsoft and Sony's next generation offerings, it seems that bringing video, TV, music and your photo collection (and probably social networking) into the mix of games and achievement unlocking is now part and... Read More is a great way to break away from traditional TV. In 2016, you’ll be able to do even more when the XBO gets support for digital video recording (DVR). To keep recorded shows, you’ll have to have an external hard drive; even the new 1 TB internal drive won’t work. This won’t be a draw for everyone, of course, but if you want to get the most out of your Xbox One’s functionality, an external HDD is a necessity for DVR. USB 3.0 used Why You Should Upgrade To USB 3.0 Why You Should Upgrade To USB 3.0 It’s been quite a while since USB 3.0 has been included in motherboards, but now we've come to the point where most devices and computers come with the new and improved ports. We all know... Read More by the external drive is a faster connection than the SATA II used by the internal drive. The external drive probably has better specs (the stock XBO HDD is mediocre). The external drive doesn’t have to handle all the other system functionality, like running multiple applications or other Xbox features, and thus has more resources to dedicate to running games. This is an instant performance bonus without any overhead. PS4 owners would have to install a solid-state drive (SSD) 5 Things You Should Consider When Buying An SSD 5 Things You Should Consider When Buying An SSD The world of home computing is moving towards solid state drives for storage. Should you buy one? Read More to get these performance gains, and they’re much more expensive than an external drive. You might think of having an external HDD as a chore How to Care for Your Hard Drives and Make Them Last Longer How to Care for Your Hard Drives and Make Them Last Longer Sometimes an early death is the fault of the manufacturer, but more often than not, hard drives fail earlier than they should because we don't take care of them. Read More , figuring it entails juggling games back and forth or having to explicitly enable it. In reality, using one with your Xbox couldn’t be simpler. Just plug in your drive, format it (you’ll only be able to use this drive with your XBO), and it essentially adds to your available storage. When you manage your game data, you’ll be able to filter by games on the internal/external drive, and can even set the external as your default for new games (a good idea, per the performance benefits above). The system will roll everything into one and let you know how much total space is left. There really aren’t any drawbacks! Hopefully now you’re convinced that buying an external drive The 8 Best Portable Hard Drives You Can Buy Right Now The 8 Best Portable Hard Drives You Can Buy Right Now Read More for your Xbox One is a worthwhile purchase. Let’s look at a few options to consider when shopping for one, as well as a few potential models. This isn’t an exhaustive look, but should get you on the right path. The minimum size is 256 GB, but you’ll want to go larger than this. Not only is it tough to find a model smaller than 500 GB these days, you want to add a lot of storage, so why buy a drive that’s half the size of the stock HDD? Note that there are no upper limits on size. The drive must support USB 3.0. This standard has been around for several years, so finding a 3.0 model should be no problem. You can choose between drives that are powered over USB or models that need a separate power cord. This will be up to you, but unless you’re really crunched for outlet space 5 Ways To Clean Up Computer Cable Clutter Under Your Desk 5 Ways To Clean Up Computer Cable Clutter Under Your Desk Cable clutter is one of technology's biggest annoyances. Today we show you how to organize and arrange the cables under your desk. Read More , you might as well get a model that plugs into the wall, as it’s likely to be a bit faster. Now, let’s talk about a few other points. First, while you could use an SSD as your external drive for increased speed, the price just isn’t going to be worth it. You’ll see only slight speed increases with an external SSD versus an HDD, you’re already speeding up your games in the first place, and it’s better to get a large drive now so you don’t have to buy another one in a year or so. Unless you have tons of money to blow, stick with an HDD for your external. The other big factor is the drive’s rotations per minute (RPM) Buying a New Hard Drive? 7 Things You Must Know Buying a New Hard Drive? 7 Things You Must Know Buying a hard drive is easy if you know some basic tips. Here's a guide to understanding the most important hard drive features. Read More . The stock internal drive is a 5,400 RPM drive, so you can either match this or go for a faster 7,200 RPM drive. Though there’s nothing wrong with a 5,400 RPM drive, if you can spend a little extra cash a 7,200 RPM model is worth the upcharge. Don’t bother with a 10,000 RPM model, though, as it won’t noticeably increase your speeds. Finally, you’ll have to pick a manufacturer and buy a drive. The three biggest makers are Seagate, Toshiba, and Western Digital. The name doesn’t mean a whole lot, but since Seagate drives have high failure rates, it’s wise to avoid buying one. Thankfully, your best choices aren’t Seagate. I’ve had 4 Seagate drives fail on me in the last 6 months. The best value for the money is the $130 Western Digital My Book 4 TB external HDD. 4 TB of storage means you won’t run out for a long time, it works out to just $32/TB, is AC-powered, and isn’t a Seagate. It’s a bit large, but that’s typical for a drive this size. If you don’t need 4 TB, want to cut costs, or don’t want to deal with an AC adapter, the $87 Western Digital My Passport Ultra 2 TB is probably your best choice. It’s more costly per terabyte than the above model, but it’s much smaller if space is a concern and 4 TB might be overkill for some people. This drive lets you future-proof your console without breaking the bank. A 1 TB model is also available for $60. For those looking to spend the least money possible, the $67 Toshiba Canvio Basics 1 TB Drive is a good option. As you can tell, the smaller the drive the higher the cost per terabyte, but you’re still tripling your space with this option. If you plan on playing lots of games, it may be worth spending the extra $20 to get the 2 TB model above so you don’t have to buy another one in the future. If you only need 1 TB but want 7,200 RPM, check out the $70 HGST Touro S 1 TB. Of course, there are dozens of other drives that work with the Xbox One. If you have one already, try it out! Bear in mind when buying one, however, that the system will format it for XBO use, so dedicate the HDD you buy to your Xbox. It isn’t meant for also using on your computer. Now you know what to look for when adding more space to your Xbox One. With a bit of time, you can get the drive that’s right for you, then set and forget it while enjoying your favorite games. With the added speed, there’s no reason not to upgrade! Not sure if an Xbox One is right for you? Check out our review Microsoft Xbox One Review And Giveaway Microsoft Xbox One Review And Giveaway The console wars are officially raging, and we've had sufficient time with both of them. That begs the question: how does the Xbox One compare? Read More from when the system launched. 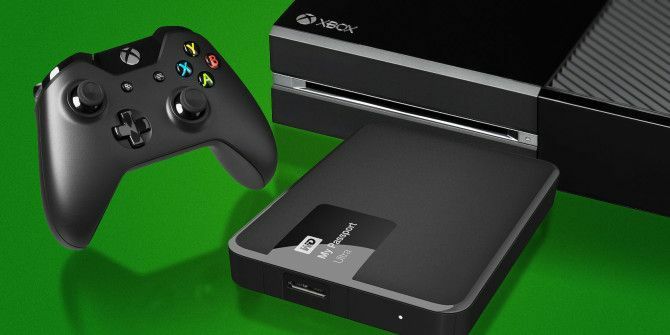 Which external hard drive will you get for your Xbox One? How much free space does your console have right now? Let us know in the comments, and be sure to leave your drive recommendations, too! Explore more about: Gaming Culture, Xbox One. Hi, I have an external hard-drive for my Xbox One. It has been formatted and I installed a few games on it. Fortnite was installed on the XBO's internal drive. It needs an update, and I get an error message saying there is no storage space. Why isn't it updating on the external hard drive? Do the updates for a game installed on the internal system need to update on the internal system as well? Thanks. Hi, can tell me if you're allowed to turn the power off on the harddrive (it's a separate power source to the xbox)? My brother says it will delete all the data, but the Xbox is powered down? It just gets really warm and the (fan)/(motor)? is loud enough to hear. I thought that turning it off whilst the xbox is off might help, but my brother refuses. Any help or suggestions? System > Settings > Power & startup > Power mode & startup > When Xbox is off, turn off storage. If you want to shut off your external drive when your Xbox is in sleep mode, turn that option on. Unplugging your external drive won't delete the data on it, but your system won't auto-update any games on the drive if it's unplugged, obviously. can you put the external hard drive inside a pc? > Bear in mind when buying one, however, that the system will format it for XBO use, so dedicate the HDD you buy to your Xbox. It isn’t meant for also using on your computer. Once you connect a drive to your Xbox One and format it for XBO use, it's only readable by your Xbox One. You'll need to format it, which will wipe everything on it, to use it on a PC. Can the XBox One read a hard drive connected to a wireless router? I'd like to have the ability to download movies from my PC to an external drive which can then be read by the XBox. I could get a harddrive with wifi, but the cost is greater. 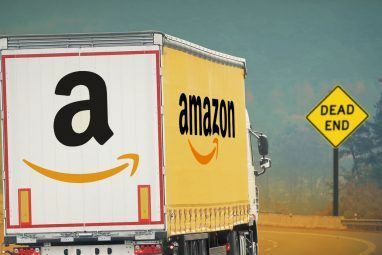 1) External CAN decrease loading speed, but can also slow it down all depends if drive you connect is faster or slower thaninternal. 2) USB3.0 without UASP is no faster than SATA II, besides unless you are plugging in SSD it makes no difference besides higher latency on USB3.0. Both SATA II and USB3.0 without UASP are limited to about 200mb/s which no HDD is that fast. not even close to ALL i wanted to know. i mean 32 vs 64 vs 128 mb cashe, 3Gbs vs 6 Gbs sata. the cheaper route of getting an internal HDD and enclosure/ usb 3.0 adapter wasnt mentioned. the specs of the original hard drive werent mentioned. a boon: referenced his accusation of seagates manufacturing ineptitude with a random tweet. annoying clickbait with absolutely no valuable info. this site should be hacked. Just because the article doesn't contain the exact information you're looking for doesn't mean it's clickbait. Clickbait refers to content that could have easily had the useful content in the title but instead hides it in the article so you have to click to read it. Regardless, most people buying an external drive for their Xbox don't worry much about the cache of the drive. I understand we could have covered more in this, but the article is also nearly two years old and a lot has changed since then. Hi. I have an Xbox One with 2 external hard drives attached to it and I was wondering, when those get full is it possible to swap out one for a new one as long as only new games get put on the new hard drive. Then switch between them for different games or do I have to move everything over to the new external if it has a much larger capacity? As long as you have the right drive plugged in for the games you want to play, swapping them shouldn't be a problem. You can buy a new drive and only put new games on that, but you obviously can't play any of the games on the other drives if they're not connected. Thus it might be worth purchasing a larger drive and moving everything over for convenience. Forgive my ignorance, but I just purchased an xbox one within the last month. It is the 500 Gig model and I am already seeing some of the constraints of having such a harddrive. If I were to go and purchase an external (looking at the 2TB WD), do you just plug it in and are prompted to format it? Then the xbox will read it as separate storage unit or all one large storage capacity? Yes, you're correct. If you buy an external drive (the one you mentioned is a good choice), then you simply plug it in. The system will prompt you to format it and once done, the Xbox will see both your internal drive and the external one as a big storage bucket. What are ypur thoughts on the Samsung evo 850? The Samsung line of SSDs is quite good. I put an Evo 750 in an old 2010 MacBook and it breathed new life into it. However, I wouldn't recommend an SSD for your Xbox One. Price is the biggest reason for this. You can get a 2 TB external HDD for $100 or under, but external SSDs are still pretty expensive. The Xbox One has USB 3.0 ports, and a 3.0 external drive loads games just as fast, if not faster, than from the internal drive. An SSD is only going to give marginal performance past that. Loading time are massively decreased by using an SSD over a bog standard 7.2k drive. What are your thoughts on the Samsung evo 850? Thanks for the article and thank you in advance for your loyalty on replying to these comments. I have 1 TB Seagate (I know) that I've always just used to keep media - movies, pictures - to play on the Xbox Media Player app, and never have had any issue there. However, I would like to use my external drive for game storage as well. I've contacted Xbox hardware support and they tell me it's not possible to have an external formatted for both game storage and media - it has to be one or the other. Does this sound right to you? Do you know how exactly the external drive is formatted once it's formatted for games & apps by the Xbox, and do you know if you could then take that hard drive to a PC and transfer back all media that will allow it to be recognized and played on the Xbox Media Player? No problem, Tyler. I'm happy to help. I suppose you could always keep two separate drives for media and games, but that incurs an additional cost. o) Should I leave the existing games on my XBox drive? o) If I should transfer my existing games to the new WD drive, how do I do that? The Xbox sees all space, whether on your internal drive or external drive, as one big pool. So you shouldn't have to worry about moving an existing games over. If you're totally done with the games, you can delete them to save space. But don't feel obligated to, as you have plenty of extra space now. Follow these steps to move games if you need to. Basically, you need to go to My Apps and Games, select the game you want to move, and choose to move it over to the external drive. I have a quick question. So i have to constantly be disconnecting my xbox one from power outlet because my parents dont know i have it (long story) so if i get an external hard drive would this unplugging and plugging of the xbox cauee it to not work properly? And will i still be able to game share my friend? Thanks in advance. I'm amazed that you're able to keep an Xbox hidden. Um, as long as you aren't disconnecting the Xbox from power while it's working with a game that's on your external drive, you should be fine. As far as I know, Xbox One game sharing works by designating a system as your "home" Xbox. If your friend has designated your Xbox as his home system and you designated his system as your home console, game sharing should continue to work. The only difference that adding an external drive makes is where the games are saved to. Sorry, but can you elaborate a little more when you say, "working with a game that's on your external drive.." do you mean as long as I don't have the game open and playing or can I just close the app and disconnect it like that? Sorry pretty big noob. That's OK. Yes, I mean that as long as you don't unplug the system when you're playing a game on the external drive, or unplug it when it's downloading a game to the external drive, you should be fine. @BenStegner There's one very important thing you forgot to mention: If you let your XBOX one format a storage drive, then it will never work on PC again. It will become totally unresponsive and only work on XBOX One consoles! Unfortunately, this is the nature of using one with your Xbox. Just as a drive formatted for macOS won't work with Windows, this is also the case with Xbox. Were you not planning on keeping this drive plugged into your Xbox all the time? I was actually building my 1st gaming PC when I realised this problem. I brought a 480GB SSD (totally wrong for XBOX usage) in an amazon sale. Rather than let it gather dust until my PC was built, I used it on my XBOX. In the end, after multiple attempts, I was able to reset it using a combo of my old 360 and the drive format tool on windows (but it took about 10 attempts and much worry). Personally, I'm a Windows person through and through. I've never touched Mac OS and I thought that all drives formatted in ExFat or NTFS would be mutually readable. With all due respect, I feel as though this should be mentioned in an article titled 'Everything You Need to Know About Xbox One External Hard Drives'. I've heard so many accounts of people buying 4TB drives and SSDs and other inappropriate drives and finding they've wasted a lot of money as a result. This information is untrue, I have a WD mypassport that I've switched from pc storage , formatted for XB1 use then switched back .... twice. Also have used a 320GB WD black as well as a crucial 256Gb m4.... all of which were able to work on a pc afterwards ... you have to reformat it, extend the new volume and assign a drive path. Control Panel -> Administrative Tools -> Computer Management -> Storage -> Disk Management ... Locate your external disk # in the list and like i said earlier - reformat it, extend the new volume and assign a drive path. I just bought an elite and I'm not really saavy on the subject. How would this compare to internal vs external since the elite has a SSD. In my experience of using an SSD external drive, it doesn't make a huge difference. The 1st thing I did was transfer Fallout 4 (infamous for it's long load times) to it; the decrease in loading times was evident, but not game changing (pardon the pun). I should point out that the XBOX One Elite uses an SSHD, which is a very small SSD augmented with a traditional hard drive. Unless you upgrade to a full SSD drive, you'll probably actually notice an increase in loading times! Most external drives are just mechanical (and therefore slower) than your internal one. @Noah - All hard drives will fail, it's just a matter of when. What the author probably alludes to is an article that was released a few months back that showed the failure rates across the major HDD brands. Seagate came out on top (or bottom, depending how you look at it). The margin, however, was very minimal if I recall, so it's not like it's reason to panic if you own a Seagate drive. Working the IT world, I've seen them all fail, so the bias only comes from a statistical standpoint. For what it's worth, I 'feel' like I've had better luck with Western Digital mechanical drives. I'm not biased against any particular brand. I want people to make a purchase that will last, and wanted to include relevant info to help them with that. I have a Seagate drive in my PS4 that's working fine. I don't know if I'm just lucky or the article is bias against seagate, but I've had a 3TB seagate external for over a year now and I haven't had a single problem on my xbox one. I'm not biased against Seagate. There's research showing what drives fail and I wanted to be sure to include that so I can give everyone the best information. I have a 2TB Seagate drive in my PS4 right now and it's been kicking for almost two years. My xbox one wont read my 4 tb external hard drive. It is a non ac powered why would that be? Did it format your external drive or your internal one? If you formatted the internal drive, everything is gone. You can re-download your game files though, and hopefully you backed up your saves to the cloud. If i own 2 xbox consoles in different locations is it possible to use the external hard drive to switch the saved games between consoles? Therefore allowing me to continue my saved games on either console. I think this should work. They say that this is a good way to bring games over to your friend's house, so it should work between Xbox systems. However, note that external HDDs are meant for storing games themselves, not save data. If you have two consoles both signed in with the same account, you should have your save data backed up to the cloud anyway. Save data likely won't be saved on external hard drives. So once I transfer my games to my external hard drive can I delete them from the internel storage and still play ? Yep, your games only need to be in one place. If you want to move some to the external drive to make more space on your internal HDD, go ahead. I have to disagree that Seagate drives are bad. Long time ago I switched from Western Digital to Seagate because several failed on me, I now have only Seagate drives and only 2 failed me which were 500GB same model and bought at the same time. None of the modern ones I bought (1tb or more) have failed on me and I've bought quite a few because I have 2 nas enclosures and I've also sold a few used PC's with them and no problems. One thing I don't like about Seagate is how they lowered their warranty, I remember one reason I switched was because at the time they had a 5 year warranty. I didn't want to come across that Seagate is awful and should be avoided no matter what, so I apologize if I did. I just wanted to cite the statistics and warn people. I'm sure plenty of people have used a Seagate drive for years with no issues. I have to agree about Seagate's statistics failure rate, at least I've read about it online, so in that aspect you're absolutely right, but I wanted to share from my own personal experience, Seagate drives are great and given how many I have used, almost none have failed on me. More on the subject, I bought a Seagate 2TB Backup Plus and stripped it out to upgrade my PS4 HDD which had a Seagate 500GB which I then installed back in the enclosure and now use it as an external hard drive for my XB1. They also had the name Samsung on the label. So Seagate owns Samsung HDD division so hopefully they have improved Quality over time as well. I have a Toshiba Canvio 1T that I've been using for external storage with my xbox one. I first got it about 6 weeks ago and had no problems after following the instructions for formatting. However, today my xbox will not recognize the hard drive (it worked fine yesterday). I spent almost an hour with xbox one tech support who finally told me to get a new hard drive. My question is, can I transfer the files from my current hard drive to a new hard drive if the xbox is not recognizing my current hard drive? I have games and lots of data on the current hard drive. You could hopefully connect it to a PC (don't format it if it asks you) and copy the files over to a folder on your PC, then copy them back onto the new drive if you get one. However, the Xbox might not like this since you have to format it before using it. Regardless, the only things stored on your external are game files, which can be re-downloaded from your account for free. You won't lose any save data - is that what you're worried about? Yes that is what I am worried about. That the game files would be lost. If I can download them from my account that would be awesome. Hi my name is Danny and I bought the Xbox one and used all my internal 500gb memory in one day so I bought an external hard drive for my Xbox one and it's the western digital my passport ultra 1tb. I love it I have over 28 games on it and about 12 applications on it and I have only used only 47.8% of my memory on my external. So I recommend the western digital my passport ultra. Glad to hear you got set up correctly! You used 500 GB of space in one day?! How many games did you install? Yes, as long as you're logged in, you can use the content on that drive. You can't load it up with your games and just hand it to a friend, because they need to be logged in as you to play them. But yes, if you're traveling or going to a friend's house for a while, this is a good way to bring all your games with you. I don't completely understand what you're asking, but are you saying your hard drive isn't compatible with your Xbox due to its format? When you plug it into the system, it should ask you if you want to format it for use with the Xbox One -- did that not happen? Ah, I understand now. I didn't realize you wanted to use the same hard drive with your PC and Xbox. Glad you got it working! The more reliable drive imo is Seagate but i agree there are certain models of each i would avoid all together. You'll have to format the drive when you plug it in, so the Xbox takes care of the work there. Also, only NTFS can have file sizes above 4 GB (which games obviously are), so it's very likely formatted as NTFS. Wasn't I clear enough in explaining everything? All that's left to do is buy an external hard drive, plug it in to format it, and start installing games. The Xbox sees everything you have as one big bundle of space, so there's not much to worry about except deleting games if your drive gets almost full. What don't you understand? I should be a politician? Thanks, I guess, but I'll stick to technology. I had the 2GB WD drive listed in your article fail within 6 months, two WD 250gb 7200 rpm hard drive fails in my kids computers with 6 months of install. I have 1TB 7200 RPM Seagate in my Desktop for 3 years and 2 250gb 5200 rpm external Seagates that I have had for 5 years. I used to swear by WDs quality. No more WD for me. They have proven themselves to me. It may have been true in the late 90s that Seagate sucked, but no more. I bought a Seagate 2 TB drive for my PS4 and haven't had any issues with it so far. I just wanted to be sure people were aware of the general statistics, but your results could definitely vary. Thanks for your input! If I go to my buddies house and copy the games he has bought digitally, could I play them without the disk and without him being signed into my xbox? No, you'll need to be signed into the account that owns the games. If you brought your games on an external drive to his place, you'd have to sign in to enable them. I'm not sure I get all the Seagate hate. Yes, they've released a couple of batches of bad drives over the years, but so has WD (anyone remember the famous IBM "Deathstar" drives? Well Hitachi bought IBM's hard drive business, then WD bought Hitachi's hard drive business, so if you want to go by legacy...). In years of running a mix of both WD and Seagate I've seen them fail at about an equal rate (that is to say: not often, except the really old ones). I wasn't hating on Seagate. I'm simply letting you know what's been researched so that you don't make a poor purchase. It's not like every Seagate drive is a problem waiting to happen, but if you can get a better deal on a more reliable drive, why not?